Jamie, a 16 year old high school student, has aspirations to become a drag queen and when his School prom comes around he wants to attend it in a dress. This doesn't go down well with some of the students and after his struggles with his family and bullying at school he over comes this and realises what his teacher really means by “keeping it real”, even if she doesn't know it herself. Everybody’s talking about Jamie has one of the most important messages being told in theatre right now and for it to be in such a mainstream commercial bracket is incredible, it is so vital for people to witness this story because it could change the way people view and think about young people, their teenage years, sexuality and career aspirations. This show isn’t just an inspiring story about a gay kid becoming who he truly is, it is so much more. Jamie has recently welcomed many new faces to the company in its first major cast change. 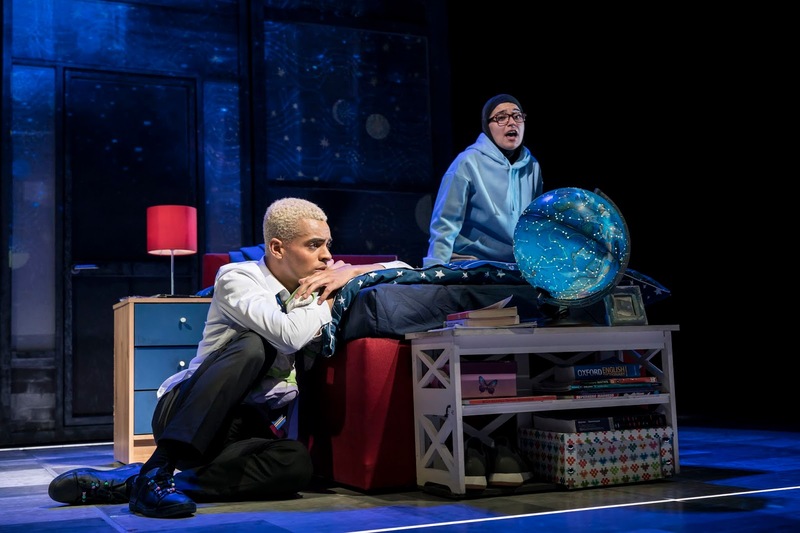 Jamie welcomes its new leading man, Layton Williams, to the cast. Having been such a well known name within the theatre world it is hard to believe this is his first West end show as an adult. He embodies everything this character should be. At times it felt he was playing up slightly to the audience and bringing in traits that are well known to any ‘Drag Race’ fan, which occasionally came across as quite arrogant in the character, this also lead to some lines being lost and comedy gold moments flying over the audiences heads. In saying this, it is clear Williams is new to the role and he will most definitely evolve into a wonderful and truly memorable Jamie. 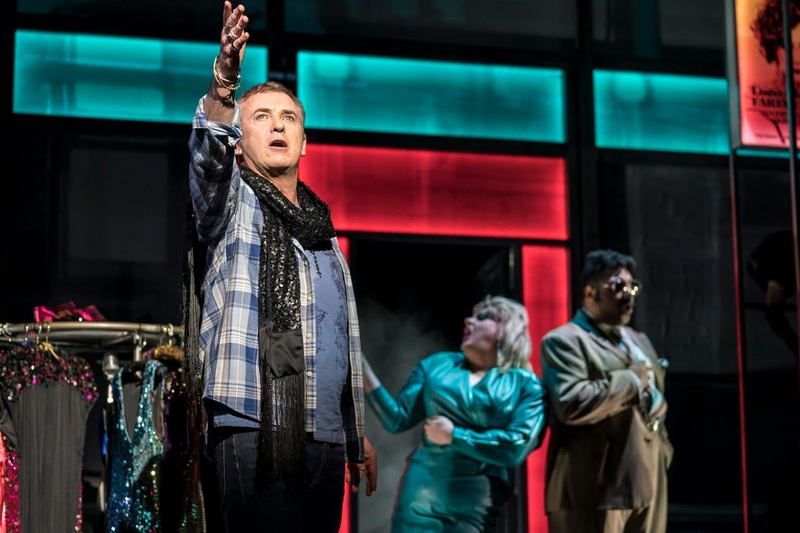 Jamie also welcomes Shane Richie to the cast as Victors Secret owner and ex-drag star, Hugo. I must say, he was one of the best things about this show. His interpretation was both feisty and sentimental whilst showing such a difference in characterisation from Hugo to his drag alter ego, Loco Channel. Its worth the trip just see Richie in this role that could easily have been written for him. As Jamies Best Friend, Pritti, we have Sabrina Sandhu in her West End debut. She portrayed the character as less awkward as we've seen before but more simple. 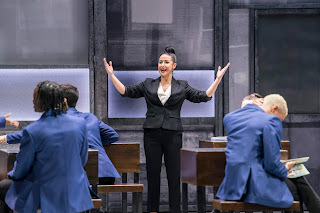 As she says in the show, she prides her self on her simplicity and the performance was executed with such subtlety that it was beautiful to watch. Race star, Michelle Visage. Although it felt as if the role was slightly too old for Tamaddon, she pulls together a fantastic performance. In the school scenes she comes across as strict and impersonal but in the moments we see of her on her own and in Jamies fantasy, it balances out this perfectly and we end up loving to hate her! Rebecca McKinnis plays Jamies mother, Margaret New. You can tell she knows this role inside out and every word she’s saying is thought about and reasoned. Her performance is subtle but stunning. Sejal Keshwala plays Ray, Margarets best friend, and although some comedy moments were missing her vocals stunned us and its such a shame we couldn’t have heard more from this talent. The stand out performances from the cast are most certainly, without a doubt, from the three Drag Queens of the cast, Alex Anstey (Laika Virgin), James Gillan (Tray Sophisticay) and Daniel Jacob (Sandra Bollock). They give such incredible comedy elements to the show and even though they’re on for such little time, they leave one of the best impressions on you. The ensemble, although very clean and sounded great, were lacking some kind of spark we’ve seen before from this show. Whats great about this writing is that we can really get a sense of the different students and who they are but this time round it didn’t seem like the personalities of the ensemble members came through. Perhaps because so many are so new to the cast but it definitely missed something out for me. However stand outs would be Courtney Bowman and Biancha Szynal. Although something was lacking from the cast as a whole, it doesn’t affect the incredible writing and story telling. 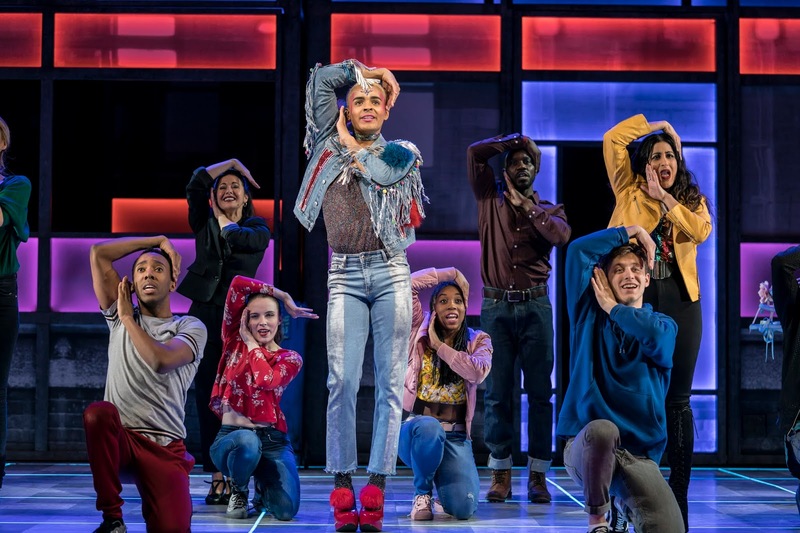 The music is so original and so different to any we have on the West End and the book is as good as any top television show. This show still has something so special, its absolutely one of the best West End shows around at the moment and will give some of those Broadway imports a run for their money!